Q: What an incredible menu!! 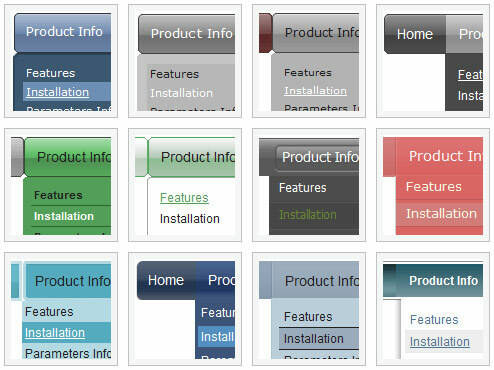 I have never seen anything like it.Would it be possible to create a version of the dhtml menu that displays items one level down from the top menu in a 6x4 cell layout (effectively a rectangle) rather than vertically? If so, how much would the customization cost? 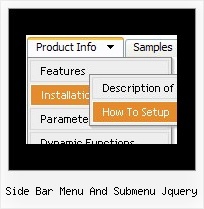 A: Yes, you can place the menu to the any part of your html code.Please contact support (at) deluxe-menu.com for the customization rates. Show active state for both main and sub menu at the same time?